It’s going to be a bit before my next post comes out on the blog, mainly due to a shortage of ideas on just what to talk about. So while we’re waiting for that, how about we swing by ScreenHub to check out my latest article? I’m a pretty big Godzilla nerd, and this new movie has me pumped for some over the top, ridiculous action like few others. As a fan, I see more than a few recognizable faces amongst the film’s monstrous ensemble, and thought it would be fun to go over the histories of Ghidorah, Mothra and Rodan. Read the full article here, and be sure to check out the rest of ScreenHub Entertainment for a host of other writings on classic and contemporary films! When this blog began in 2014, I had one goal in mind. I wanted to promote a fantasy book series I was writing. At the time, I thought this work in progress was nearing completion and I’d have it out within a few years. Since then, a lot has changed. One of the big realizations I made was this large and complex world was, at the time, beyond my skill level as an artist. In order for it to reach its full potential, perhaps it was a good time to let it take a break and focus on other projects. And that’s what I did. A horror novel has finished its second draft, a script is about to undergo its semi final draft. Yet out of every story currently ticking the back of my head, this fantasy story is without a doubt the most near and dear to my heart. That’s why letting it rest was one of my best decisions. The original story concerned a dragon who finds himself blackmailed by a group of ragtag heroes who need his help. The dragon begrudgingly agrees, and finds himself whisked away on an adventure more challenging than he could have imagined. We did a lot of work on this story, from some impressive concept art to highly detailed illustrations, all done by some very close friends of mine. I’m humbled and warmed by the fact that they stuck with me for so long, and continue to enrich my life with their company. In this illustration, Zhyx the red dragon meets his longtime companion, River the Flatlander, for the first time in the fantasy adventure novel, Never Heroes. Progress for the Chapter 19 illustration for the fantasy novel Never Heroes, which shows the drooling dragon known as Heavy attempting to eat River, one of the protagonists of the book. The work my colleagues did was impressive to say the least, and did help capture the pulpy adventure feel I desired for the book. But during this time, as my writing skills developed, so did theirs. The earlier work was still impressive, but by the standards of what my friends have accomplished today, the work is but a stepping stone to something greater. The cherry on top of all this is since we took a break, we could actually re-evaluate the designs of a lot of the characters. Previously we were afraid to change things based on all the work we’d done. After a break, we could once again experiment. We have begun this process, and the results have thus far proven most promising. But that’s just the beginning of the substantial changes the story has gone through. Since then I’ve been introduced to other narrative works that have provided much inspiration for the creative process. One of the most unlikely of these was Black Rain, a cop thriller from the late 80s that I fell in love with upon my first viewing. Not exactly what one would expect when seeking inspiration for high fantasy, but I always had a taste for the unusual. I’ve also made another important decision. Before, I’d bragged that I hadn’t read a lot of high fantasy as to avoid its influence on my own story. Now I’ve come to realize that was a flawed way of thinking, and that many of the classics should be viewed as teachers with a variety of valuable lessons for any author. 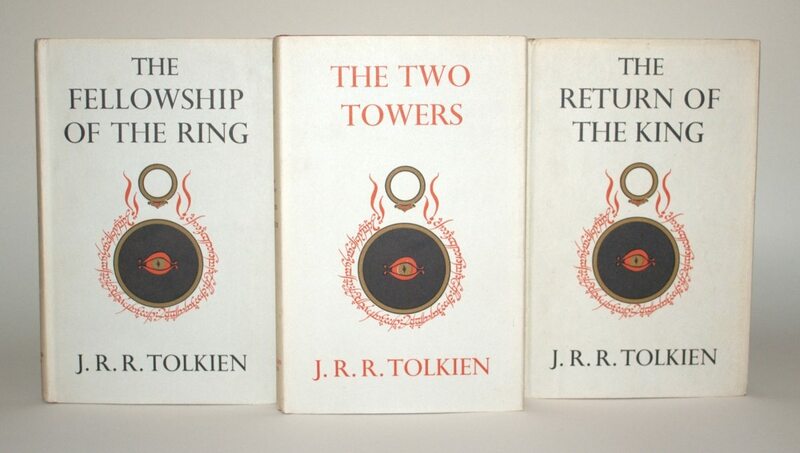 I’ve since read The Hobbit, and will soon delve into the Lord of the Rings trilogy and The Silmarillion. After that comes A Song of Ice and Fire, Harry Potter, Dragonlance, and more. Not a bad lineup when trying to make my own fantasy smoothie. All will have valuable lessons to teach. Even after that, there’s still more. The overall tone and feel of the story has changed, still maintaining its adventurous feel with some added gravitas. Characters have gone through drastic re-evaluations and evolutions to the point that they barely resemble their counterparts from a few years prior. This is a good thing, as an overly meek character and an ill placed comic relief are both vastly improved even in the conceptual stage. Since this story’s humble beginnings and a four year long slog through a flawed draft, I’ve developed a much clearer vision of where I want this tale to go. Gone is the simple tale of a dragon getting blackmailed into heroics. Hopefully, it’s something far richer. Today, work on it will continue. My outline board lies ready in my office. Slowly but surely, I’ll begin decorating it with my special brand of color-coded pins, organizing the ideas a little at a time. It’ll be a long, no doubt frustrating process, but as my recently completed novel has taught me, the journey is always worthwhile. Yesterday morning, after a session lasting a few hours, I completed a second draft of a horror novel I’m writing. Now, given the long and turbulent history of this blog (much of which has been removed from the public), me saying I completed a draft of anything probably doesn’t mean much. I must have proclaimed proudly that my previous book book was finished no less than six times from the years between 2014 and 2018. A lot has changed since then. After a nice education, years of frustration and failure, and writing professionally for the last three years, I’ve learned a lot about the craft. I’ve even learned a lot since the completion of my previous draft, to the point that the stack of pages I finished last year is vastly different, and inferior, to the stack I have now. The story I’m currently working on has been in my heart for a long time. Since at least my high school days. Back then, I wasn’t a terribly good writer, and often stumbled with a story shortly after the idea was formed. It combines a lot of my favorite things, including horror, urban gothic, dark fantasy, police procedural, all with a pinch of werewolves to give it an extra spice. Is the book done? Not yet. There is still a little work to do in order to polish it, from better character development and dialogue to making sure the prose is effective without being pretentious. And given this current block of pages is some 134,000 words long, there will need to be a lot of cuts before an agent takes it seriously. I’ll have to lose a lot of what I love in the story, but doing so will ensure that only the best remains behind. The editing process on this is one I look forward to, even though I have a lot of darlings to kill. In the meantime, the manuscript and me have earned a short rest. I have no less than six other projects demanding my attention, one of which is already nearing completion itself. I think I’ll get that one finished before heading back to this story. After that, there will be plenty more to do. I do feel very different about finishing this one as opposed to my previous misfires. Back then, I felt a swelling of almost delusional pride in the work. Now, I look at the stack of pages before me, and can’t help but feel exhausted, and full of a grateful humility. Hopefully that’s a good sign that my evolution as a wordsmith has taken me in the right direction. Yes, I’m a big fan of Alien, Predator and all related media. Well, except the Alien prequels, the AvP movies, most of the comics…. Last October, I typed of this retrospective on the crossover series, from its humble beginnings in comics, to its eventual decline following the ill fated attempts to put the concept to film. It’s a comprehensive look at one of the most unusual series in science fiction, and one of the best pieces I’ve written for Screenhub Entertainment. Today, I thought I’d share this piece with all of you. I hope you enjoy it. Be sure to check out the entire article at THIS LINK, and don’t hesitate to visit the rest of OUR SITE to read more top notch content! Steven Spielberg has attracted quite the controversy with his push to keep Netflix movies out of the Oscars. While it’s easy to paint him as a villain, closer inspection reveals perhaps his motives are less sinister and more based on sentimental memories. My latest article at ScreenHub Entertainment is up, this one dealing with Spielberg’s statements following the Oscars, and a possible explanation for his motives. Please enjoy the article at this link, and be sure to visit the page for a variety of other content! No author in history has ever found a greater collaborator than the blank page. Those who have followed this page are well aware of my love for the Alien series, so you can imagine how excited I got when Alien: Isolation was announced. After waiting with giddy anticipation, I finally picked this game up in 2016, and after a few months of hyping myself up, I finally sat down and played it. The journey to beat this game was a two year long odyssey, but it is one of my favorite gaming experiences ever. Be sure to check out our full review here, and feel free to cruise some of our other content! My colleagues at ScreenHub Entertainment are a talented bunch who are always eager to meet your pop culture needs. I’ve been writing regularly for the last seven years now, and though I have yet to get a piece of fiction published officially, I have learned some valuable lessons about the craft of word smithing. One of the most crucial lessons is never underestimate how much simply hitting the backspace button can help you. Starting any writing session is a difficult task. Few feelings compare to when the words flow freely. Still, there are times when you can struggle to find your voice, so no matter how many words you manage to churn out, it might just not feel right when all is said and done. A lot of feelings come after such a session. Feelings of inadequacy and doubt have assaulted many a wordsmith after an unsatisfying couple of bouts with the empty page. To a writer, it’s comparable to a black eye. Looking at an unsatisfying bunch of pages can leave you wondering just how do you fix such a thing? My advice is don’t bother. Just hit the backspace button. We do get attached to our words, and deleting a page of material, or twelve or thirty, does create a sinking feeling, no matter how flawed those words are. But sometimes, a complete re-take does yield better results than simply editing the offending material. During my current book, this has happened several times. I recall writing an entire chapter’s worth of story, building up to a very important scene where my characters meet for the first time. But it just wasn’t right. I thought about how I could edit it in order to fix the scenes, but every idea I had fell woefully short. I couldn’t continue on, because everything that happened since would be tainted by the previous chapter, not unlike a row of tumbling dominos. So, with a heavy heart and a fair bit of apprehension, I did the unthinkable. I deleted the whole chapter and started over. How did that feel? There are few times when I’ve felt better. Deleting the previous material was an oddly liberating experience. No longer was I confined to my previous material. I was on free open pages that I could mould into whatever I wanted. I struggled through the first attempt at that chapter for over a week. The second attempt both took less than half the time to finish, and was twice as good. It was the fear of backspace that killed my fantasy novel. Rather than do the brave thing and re-write it from the ground up, I was too afraid to get rid of the previous draft. Doing so effectively put me in a cage where the story would only improve as much as the previous draft allowed it. Had I the courage to simply start over, then all the wonderful ideas that have come since would have been born that much sooner. It can be a very scary thing to delete a lot of your work, but if those words are holding you back, you shouldn’t be afraid to cut ties with them. Save them in a separate document, sure. But don’t be afraid to set them aside if your manuscript is suffering from them. Try not to look at it as getting rid of your work. Rather, it’s getting rid of unnecessary clutter. Once you do that, you’re left with a slew of new possibilities. A warm hello to all you WordPress Writers. It has been some time since I started this blog, and some time since I checked up on it. This last break took me about a year to complete. But now I’m back, and I have a new mission. When I first started this blog, it was purely for promotion of my own work. Looking back on my older posts now has been a fascinating experience. I’m a much different person than the kid who started this blog in 2014. Back then I was a naive dreamer who believed in himself to a fault, and made the rather brazen decision to move out to the big city and take it by storm. Late 2014 through early 2018 were some of the most painful, yet informative years of my life. I moved back to the country in March of 2018 a much wiser person, taking with me all my dreams, and a nice side job covering scripts for writers with ambitions not unlike my own. Much of this blog’s history was devoted to a passion project, namely a fantasy novel that went through several iterations but never quite got to where it needed to be. I ended up deciding to shelve the novel for a time to develop it properly, and then went on to work on another book. As of this post, the second draft of that book is almost finished, and I couldn’t be more excited. I will share progress on my own work from time to time, but that’s no longer this blog’s mission. I want to help other writers who are where I was four years ago, and perhaps impart some of the wisdom I’ve picked up since then. I’ll talk about how my writing methods evolved, how my outlook on writing has changed, and other things that helped me improve as an artist. I’ll also share my insights as a script reader for competitions, and let you know some of the common mistakes I see, and how you can overcome them in both screenwriting and prose fiction. And don’t be surprised if you see the odd post about a recently viewed book or film. I’m a pop culture junkie, and sharing a story is one of my favorite past times. For the purposes of this new mission, I’ve spent the last few hours going through the site, removing pieces that were no longer relevant and completely refurbishing overall presentation of the page. It’s been hard work and there’s still a lot more to be done, but this has nonetheless been a worthwhile journey. In the meantime, come on in, pull up a seat by the fire, and lets get to work. I hope to connect with many of you who are struggling to figure out what you want to say with your work, and let you all know that no matter how bad it may seem, never give up the dream of mastering words. Remember, this is not a place where you’ll be talked down upon. I’ll struggle right along with you. So without further delay, let us begin. Welcome to the Writer’s Forge. Well, I’m back in the saddle as far as this blog goes, and some of you may be wondering why the options at the top of the page have gone down. The answer is there’s about to be some pretty big changes around here. I’ve removed a number of tabs from the site, ones dealing with old scripts, the first three chapters of the novel I’d been writing, and an entire page dedicated to world building on my fantasy universe. I’ve removed all of these as I feel they no longer reflect my skills, and the project they were for is getting some much needed rest before I go after it again. This entire blog is going to be re-worked into one that isn’t specifically devoted to Never Heroes, but rather a writer’s blog in general. I’m currently debating whether or not I’ll be removing the concept art pages from here. Perhaps they’d be better to keep under wraps until an art book is released, if an art book is released. I’m not ashamed of this project, and it will be finished. You can count on that. But looking back at this blog a few months after taking a break, and I look at it now as a testament to who I was three years ago, a kid fresh out of college who was still a little full of himself. That’s not who I am anymore, and that’s what this page needs to be. The content will still be saved for my own purposes, so somewhere down the line I can look back and have a good laugh. But you guys will be getting something totally new, and hopefully more representative the current state of the author. Damned if I know exactly what it’ll be, but we’ll figure something out. Looking forward to seeing you soon, and happy writing.